Please unpack and refrigerate your live lobsters and fresh seafood immediately. All live lobsters and fresh seafood should to be eaten the day of arrival for peak freshness. 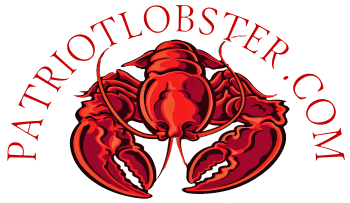 PatriotLobster.com is not responsible for incorrect delivery addresses. PatriotLobster.com is not responsible for packages left when recipient is out of town. All claims must be made within 24 hours of delivery via email or telephone. Services are "End of day" means by 7:00 p.m for home delivery & End of business day for business deliveries in the destination's time zone. The exact time may vary by destination. If your zip code does not have standard delivery available, "Priority" or "Priority Overnight" services are then needed, which does not guarantee an early delivery, just earlier in the day. Depending on your zipcode. v.s Shipping rates are applied at checkout. If your zip code does not have standard delivery available, "Priority Overnight" services are then needed, which does not guarantee an early delivery, just earlier in the day. Depending on your zipcode. v.s shipping rates are applied at checkout. Saturday delivery must be checked or your delivery will be the following Tuesday. Shipping method via "Saturday" or "Priority Overnight" service for all Saturday and rural zip code shipments. This method is for local customers to come to our facility to PICK UP. Do not use this method if you want your order shipped. Shippers only display the city or zip/postal codes served by them in the destination and origin countries you selected. The rate and transit time application only uses city name or zip/postal code to define transit time. Transit times for Delivery, do not include Sundays, Mondays, or holidays. The service options and delivery times are dependent on the ship date, weight, dimensions, declared value, packaging, and/or address entered for your shipment. Any disparities between entered and actual data for your shipment may affect the availability of different service options and may result in a different delivery time and date. Please make sure that your shipment meets the terms and conditions of the service you have requested. The transit time results shown are based on the shipment date you provided. The results are valid only if your shipment is prepared and provided to the carrier by the latest published cut-off time in your origin city on the shipment date indicated and all the information entered in the rate and transit time application matched the actual shipment tendered. The transit time information is subject to change without notice. PatriotLobster.com is partnered with PeriShip, a value added logistics provider, exclusive to FedEx, and industry leader in the management of perishable shipments. Once your order leaves us, PeriShip will monitor it and keep you informed of any changes or issues. PeriShip utilizes a wide array of resolution capabilities, to manage shipments that encounter extended transit times, ensuring your lobster arrives in peak condition, even if weather or other issues intervene. For questions related to transit, please contact PeriShip directly at 866-928-6428.